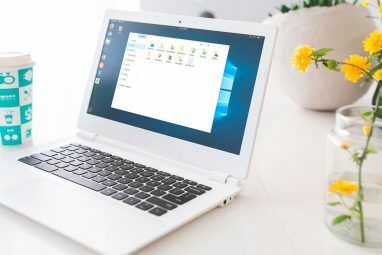 Windows is a big operating system with a long history, and it has a feature set to match; even veteran users haven’t found all of its hidden features 5 Windows 7 Features You Didn't Know Existed 5 Windows 7 Features You Didn't Know Existed Windows 7 contains many little-known features. Here we highlight the more impressive ones that could boost your productivity and deepen your love for Windows 7. Read More . In the interest of progress, sometimes classic Windows tools give way to new features 5 Legendary Windows Tools Replaced by New Features 5 Legendary Windows Tools Replaced by New Features Windows includes lots of tools that you use every day, but some have lasted longer than others. Here are parts of Windows that don't exist anymore. Read More . However, you surely don’t remember all the archived features fondly. From the useless to the annoying, here are some Windows features we aren’t shedding any tears over. Nowadays intelligent assistants are all the rage, such as Cortana on Windows 10 Cortana Arrives on the Desktop & Here's What She Can Do for You Cortana Arrives on the Desktop & Here's What She Can Do for You Is Microsoft's intelligent digital assistant as competent on the Windows 10 desktop as she is on Windows Phone? Cortana has a lot of expectation on her shoulders. Let's see how she holds up. Read More , but back in Office 97 we had Clippy to help write documents. Clippy the paper clip was actually one of many possible Office Assistants (others included a robot and a dog), but was by far the most popular since he was the default and most of the others required a CD to install. 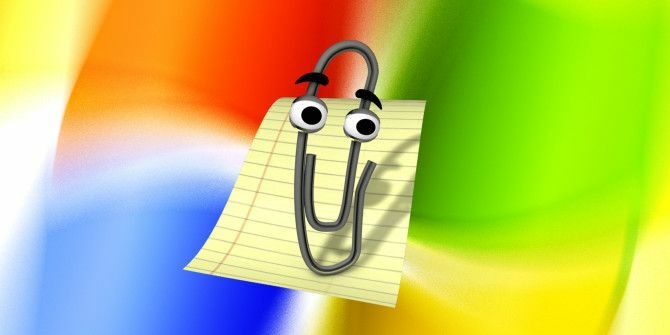 The character was supposed to keep an eye on your work and intervene whenever it had a helpful tip for you – for example, if you typed an address followed by “Dear Sir,” Clippy would detect that you were writing a letter and offer to help format it. The problem was that everyone found this annoying and Clippy barged in way too often. Office XP shut off the assistant by default, and it was totally removed in Office 2007. This was all a decent idea in theory, but the implementation was awful. Due to its widespread criticism, Clippy has become a huge Internet joke Beyond Parody: 5 Internet Jokes That Grew Into Something Bigger Beyond Parody: 5 Internet Jokes That Grew Into Something Bigger Read More and launched several parodies, some even from Microsoft! The Windows Desktop Gadgets in Windows Vista and Windows 7 were sort of like the widgets now found on Android 5 Excellent Lock Screen Widgets for Android 5 Excellent Lock Screen Widgets for Android One of the perks of having an Android device is that you can natively add widgets to your home screen. Some widgets are highly specific and only useful situationally, but then there are those amazing... Read More : quick information and functionality right on your desktop. Default options included a calendar, clock, notes, stocks, and weather. For a time, Microsoft also ran the Windows Live Gallery, where you could download additional widgets from third-party developers. Desktop gadgets weren’t totally useless, but nobody really took advantage of them. There are better apps for sticky notes Post-It To Your Screen - 6 Sticky Note Apps For Windows Post-It To Your Screen - 6 Sticky Note Apps For Windows Post-its on your desktop or Start Screen can be extremely helpful for remembering small but important amounts of information. Stop cluttering up your desk and go digital with these fantastic sticky note apps. Read More , checking the weather on your PC Is it Raining? 4 Beautiful & Free Weather Apps For Windows Is it Raining? 4 Beautiful & Free Weather Apps For Windows "Will it rain later today? ", "What's the temperature outside right now? ", "Will it be warm this weekend?" These are just some of the questions we ask about the weather every day. Getting answers to these... Read More , and managing a calendar, so why clutter up your desktop with icons that have limited use? 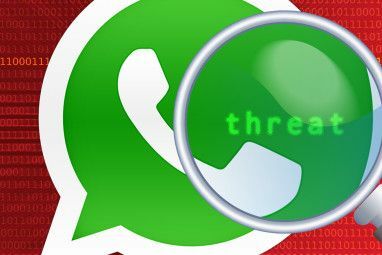 Even worse, Microsoft eventually warned users that these gadgets could have serious security vulnerabilities, allowing malicious access to your computer’s files or letting them show explicit content without warning. With the launch of Windows 8, desktop gadgets officially went extinct. Though Modern apps The Best Windows 10 Apps The Best Windows 10 Apps Windows 10 Store apps have come a long way. Meanwhile, you can choose from a considerable selection, free and paid. We have picked out the ones worth your while. Read More have essentially replaced these gadgets, you can still enable desktop widgets on Windows 10 How to Get Windows 10 Gadgets for Your Desktop How to Get Windows 10 Gadgets for Your Desktop Desktop gadgets were taken away in Windows 8. Here's how you can bring widgets back to your Windows 10 desktop. Read More , if you really want them for some reason. The Windows Experience Index (WEI) was designed so that users would have a baseline of how well their computer ran Windows What Is The Windows Experience Index, And How To Maximize It What Is The Windows Experience Index, And How To Maximize It The average user doesn't have a clue what type of hardware they really need. To them, hardware specifications are a jungle and figuring out what they should upgrade if they experience performance issues is a... Read More – the assumption being that the average person doesn’t know how to interpret PC specs 5 Little-Known Specs That Could Be Slowing Down Your PC 5 Little-Known Specs That Could Be Slowing Down Your PC We'll take a look at five lesser known factors that affect your computer's performance, and show you how you can always get maximum bang for your buck when upgrading. Read More . The tool tested your computer’s processor, RAM, and graphics capability to see how well your machine handled different tasks; the lowest score would equal the WEI of your system. This is one to throw in the “useless” category. For starters, the tool doesn’t actually do anything but give you a pointless number, and most users didn’t have a clue it was even there. Microsoft also raised the maximum score from Windows Vista to Windows 7, making the test even more confusing. You also wouldn’t see the WEI score until after buying a computer, and replacing components on a laptop How To Upgrade Your Laptop In a Flash: Add a New Hard Drive & Increase RAM How To Upgrade Your Laptop In a Flash: Add a New Hard Drive & Increase RAM Laptops are not as easy to upgrade as desktops. Many components are simply soldered on to the motherboard and others, though technically replaceable, are restricted by technical skill and cost. There are, however, two upgrades... Read More to improve your score would be tedious. Finally, PC games never adopted it as a baseline standard. So, the people who could have used the feature didn’t know about it, and those who are into customizing their PCs already knew how their computers would perform. Thus, the WEI was dropped in Windows 8.1, and nobody cared. Windows 8 introduced a lot of duplicate ways to perform tasks, sometimes splitting the functionality between them (such as the Settings app How to Control Windows 10: The Settings Guide How to Control Windows 10: The Settings Guide The Windows control panel is on its way out. Its replacement, the Settings app, has received a significant upgrade in Windows 10. We'll reveal all its secrets for you. 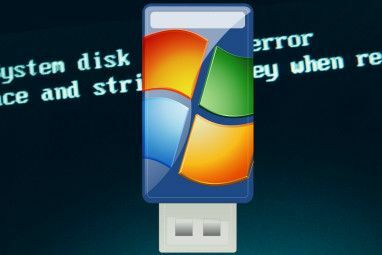 Read More and the Control Panel Unlock Windows Potential: Control Panel Demystified Unlock Windows Potential: Control Panel Demystified If you want to be the master of your Windows experience, the Control Panel is where it's at. We untangle the complexity of this power tool. Read More ). With Skype, this trend continued – so users had a default Metro app for Skype, but could also install the traditional desktop version. Skype desktop, Skype Modern App, Skype in Messaging… One or two of these aren't needed. Christian compared the two Skype versions Why The Classic Desktop Version Trumps Skype For Windows 8 Why The Classic Desktop Version Trumps Skype For Windows 8 Want to make voice and video calls on your Windows 8 computer? A touchscreen version of Skype is available from Microsoft, but how does it compare to the desktop version? Read More , and unsurprisingly found the desktop flavor superior. In Windows 8, the Metro app takes up your whole screen and is designed for touch interfaces, which means that common settings are hidden behind annoying gestures and some functionality is totally missing. Microsoft threw out the Modern Skype app with Windows 10, so you’ll be able to stick with just the one version instead. Hopefully, this will reduce the headaches. Windows Messenger was an AIM-like (AOL Instant Messenger) chat client included with Windows XP. It was intended for both business users to have a company chat, as well as standard users to chat with friends. Instant Messaging (IM) services were all over the place by 2001, so Windows Messenger wasn’t terribly popular for home users. AIM was so huge that a lot of people were already using it – after all, an IM service is only as good as the number of your friends that are on it! Windows Messenger faded out a few years later and was replaced by Windows Live Messenger, part of the Windows Live package, and later Microsoft Lync (now Skype for Business). Lync is more suited for enterprise environments, so it’s a natural place for a service like Windows Messenger. On the home user side, Skype is the evolution for chat. Skype for Business, formerly Lync, formerly Office Communicator, formerly Windows Messenger, formerly NetMeeting. Pick a name, Microsoft. Designed for touch navigation 3 Browsers With Cool Touch Features For Windows 8 3 Browsers With Cool Touch Features For Windows 8 The last thing you want on a touch-enabled Windows 8 device is a desktop browser that's poorly designed for touch screens. Internet Explorer, Firefox, and Chrome all have modern interfaces optimized for touch input. Read More in Windows 8 and making no sense to mouse-and-keyboard users, the Charms Bar was confusing for many newcomers to Windows 8. It seemed to slide in at random or when you wanted to select something in the corner of the screen with the mouse, and its shortcuts weren’t clear at first. Thankfully, the 8.1 update copied most of its functionality to more logical places. In Windows 10, Microsoft has reduced the emphasis on touch controls and tossed out the Charms Bar. All of its old shortcuts, such as shutting down the computer and searching, have been placed elsewhere (mostly in the revamped Start Menu). If you’ve gotten used to the charms bar, you may miss it when you first upgrade to Windows 10 Should You Upgrade to Windows 10? Should You Upgrade to Windows 10? Windows 10 is coming, but should you upgrade? Like almost every change it's mostly good, but also comes with drawbacks. We've summarized them for you, so you can make up your own mind. Read More , but you’ll quickly get over it when you discover the Action Center that took its place. It’s a relief not to have to deal with the bar sliding in every time you point the mouse on the right side of the screen or accidentally make a sliding motion with your touchpad Everything You Need To Know About Windows 8 Swipe Gestures On A Laptop Everything You Need To Know About Windows 8 Swipe Gestures On A Laptop With the introduction of Windows 8, a lot of brand-new touch-friendly features have been added to make the operating system enjoyable to use on touch-enabled devices. However, for typical laptops which only have touchpads for... Read More . Not all past Windows features are looked back upon with nostalgia. Some we wish had never existed, but Microsoft can’t hit a home run every time. It seems they learn from their mistakes (eventually), at least. Running Windows 10? Check out some features you may have missed 6 Windows 10 Features You May Have Missed 6 Windows 10 Features You May Have Missed Windows 10 is chock full of new stuff. We help you discover some of the less obvious features and options that are easily missed. Read More in your first few months with the operating system. Which Windows features do you wish had never happened? Were you a fan of any tools listed here? Leave your thoughts in a comment below! Explore more about: Skype, Windows 10, Windows 8, Windows 8.1. "The tool tested your computer’s processor, RAM, and graphics capability..." It also had a score for your HD. Most people don't even know there's a difference between brands and types of HDs, or even that SSDs exist. You're right; I generalized about this. SSDs would certainly score higher on the WEI, but most people still wouldn't understand that they had an SSD. And as for Skype in Windows 8/8.1, I use both, signed in to a normal Skype account on Skype for Desktop, and a Microsoft Account-connected Skype Account on the Metro App. Generally, I find myself using Skype for Desktop for calls (because it has screen sharing), and the Skype app for chat. I'm glad you found a meaningful way to differentiate the two! I find the charms bar (Windows 8.1) handy, but not irreplaceable. It's one of those things you don't use very often, but when you do, you appreciate it being there, and it hardly ever pops up when I don't want to use it. So, a nice feature to have, and not annoying at all, but not something you'd use very often. It's not bad once you get used to it, but I feel that its options are better placed elsewhere or accessed with keyboard shortcuts. It's not something anyone will really miss. I wouldn't call the Windows Experience Index useless per se. It just wasn't granular, documented and advertised enough to make people use it and therefor useful. It is also worth noting that the WinSAT score does make an actual difference e.g. if you were using a Solid State Drive. The Disk Score is the deciding factor for Windows to recognize a SSD and therefor perform certain optimizations automatically. If your Windows installation performs defragmentation on your SSD chances are you didn't run WinSAT (or the SSD doesn't perform as expected). In fact, most of the SSD optimizations advertised on tech sites are performed automatically duo to the score. I can't agree with the MSN/Windows Messenger point at all. I had more friends and contacts online in messenger until the very end than I have in ICQ. MSN was very popular in Europe "back then" and it's popularity in China should be obvious considering it was supported and operational there until late 2014. Perhaps I was wrong about Windows Messenger; that was mainly based on my own experience. But with the Windows Experience Index, doesn't what you just said basically mean it was useless? It was a good idea in some form, but nobody knew how to use it or even knew it was there. From a user experience standpoint, that's basically the definition of a useless feature. Maybe I am too technical about it but I don't see it as a useless feature. It has a use, a purpose and does actually effect your general system. For example if the value of DiskScore is 65 or higher your disk is considered to have SSD performance and will therefor trigger the system to disable SuperFetch, ReadyBoost and disable weekly Defragmentation. The graphics score is used to determine Desktop Window Manager operation (most noticeable Aero) and HD video playback capabilities. I think a deficit of information and education for (end-)users doesn't make a feature useless. Most people don't know what an operating system is and that they have one. But yes, I agree that there was no use to the WEI control panel and to bug people to run it. Users generally ignore any popup messages they don't expect to see. That's (probably) why the GUI was dropped and WinSAT is operating in the background now. Now that you put it that way, I do understand. I didn't even think about the fact that Windows was using it in the background to determine what settings to enable or disable for better performance/looks. Thanks for explaining this! It seems that it did have some use for Windows itself, even if it wasn't something users ever interacted with. You might be surprised what WinSAT is actually capable of, respectively is doing behind the curtains. Open up an elevated command prompt and type "winsat disk" (to stick with my previous example). This will give you the actual results of the tests performed as well as their "rating" on the WEI scale. Windows Backup Prior to the release of Windows Server 2008 / Windows Vista was god-awful. No two versions of the program were compatible, so you had to have the same OS version to read a backup, and the default assumption of the software was that you were backing up to either tape or floppy. Contemporary desktop versions of Windows actually HIDE the proper backup tool from end users. On Windows 8+, the application is actually called "Windows 7 Backup And Restore" and it's accessible from Control Panel, though a search from "Backup" by itself brings up the even more useless File History tool. As a tool, I think people are still better off with a third party application that properly supports versioning and partial backups like Crashplan or TrueImage, but at least Microsoft uses the same file format, VHD, for all its backups now. I'll also say I don't miss the File and Settings Transfer Wizard from pre-Windows Vista days. Easy Transfer is easy enough that if I tell a person it exists, they can probably muddle through making it work. Deprecated Windows components I do miss: Boot.ini, which was replaced by the vastly more complex boot configuration data system. I understand why it was done, but I liked having a single file with an easily understood, human readable syntax better than having to spend 15 minutes reading about command syntax that doesn't align with any other Windows component. Dreamscene: Vista Ultimate edition had a tool to let you use a video file as wallpaper. It was never officially supported by any other Windows edition. Media Center: I never really used it myself, but it was a widely known and supported PVR for Windows. There hasn't really been a widely adopted replacement. Proper solitaire. sol.exe. No ads. No 3D effects. Just something to do when I'm watching progress bars. 3d pipes.scr. For when I stop playing solitaire and just let the progress bars go for a while. Being able to do repair installs on non-functional Windows installations without losing installed software or user profiles. Last seen in Windows XP, this isn't terribly helpful or important for business users, but for home machines it can be a huge deal. 1. The name. I would ask people what email program they were using. There was an approximately 99% chance that someone would say "Outlook" regardless of which one of the two programs was actually being used. 2. Outlook Express had it's own stupid mail file format and location that nothing else used. Why not store the mail data in the same file format as proper Outlook? Why not standardize the mail file location, as it is on a UNIX system? 3. Email is highly personal, but Outlook Express had very few configurable options at any point in its life. Even the version that shipped with XP never had mail filter support. 4. It was never self-configuring. Not a big deal for me, but having to know incoming and outgoing server names, TCP ports, encryption and login standards for an ISP sounds like a lot of scary information that probably could've just gone in a database somewhere the program could read it. I'd also like to blame Microsoft for popularizing reply-before-quote rather than inline E-mail replies, something I never saw before the release of Outlook. The replacement programs, Mail or Live Mail, are even more incompetent than OE was, but their interfaces are so simple that I can't imagine anyone with a need for local E-mail application would stick with either one for long enough to be of concern. MSN Messenger was THE program to use when I was in primary school, when no-one was quite old enough to get a Bebo account. what do you mean no-one used it?? Maybe I don't speak for the majority here! I used Windows XP extensively growing up and never once met anyone who used it. I didn't think it was popular until it evolved into Live Messenger years later. I'm probably the only person in the world who liked the desktop gadgets in Vista. Do you still use the gadgets? I'm on Windows 10 now. If I was still on Vista I probably would, honestly. I loved Office Assistant. It wasn't just Clippy -- there were other characters you could choose from, like Rover the search dog, Merlin the wizard and even a bouncing ball. Windows and Office now are too impersonal -- they don't have anything endearing or enjoyable going for it, and the metro interface (which I see popping up on a lot of websites, including MUO) is ugly. But I'd like to nominate for honorable mention a Windows (well, actually, Office) feature that I'm still mad Microsoft got rid of: Clip art, specifically the feature to search the MS clip art website from within Office itself. Obviously clip art still serves a purpose if sites like openclipart.org and store-bought CD collections exist, so why retire it from the website? It's not like it was even taking up a lot of space on their server. I downloaded the "grab" from Internet Archive and the whole collection fits on a standard DVD. The loss of clip art is a shame. It was nice to have images ready to go, but I think the reason that this happened you answered yourself - with always-connected machines, we can find thousands of images in seconds using search engines. Why would MS bother to load Office up with Clip Art if nobody is going to use it, or can just find it online? I understand the nostalgia for clip art, but it made more sense in the early 2000s when many computers didn't have constant Web access. A local collection of images was much more useful then. How about MS Bob? That's one I'll bet Microsoft would like to forget. I saw that one when doing some research for this piece, but decided it was a bit old and left it off. It would have been a great one to include, though! Man, I'm embarrassed to say, but I actually thought it was fun using that program in the 90's. The word processor, check book, the LAVA LAMP..decorating the room. There, I've said it. I liked Clippy, I actually found him helpful when I first started using a computer. I did use Windows Gadgets (tried to) but I was on dial-up and the stupid things never updated anyway. Charms Bar just about drove me batty, it was always popping out from nowhere. The one nobody mentions is the little dancers that you could have bouncing around when you played music. They were fascinating. Cheers! I'm glad you liked Clippy! Some of his functionality was later put into different places of Word, just made less annoying. Gadgets may have been cool for a time but there were just so many better methods to get the same information. I don't remember any dancers - was it one of the options in Windows Media Player to have a bunch of weird animations when listening to music? They were actual little dancers, I think the program was Dancer LE, several different dance styles to choose from, I think from Windows XP Media Center Edition 2005 or Microsoft Plus!. You could place them on your desktop and they kept time to the music. They had me mesmerized. You can download the Desktop Gadgets and Windows Experience on Windows 10 thanks to some software developers. I've seen them floating around! Why you'd want to re-introduce them I'm not sure, but I'm glad the option is there if you're nostalgic. The cat version of Clippy was great. It breathed, purred, and went to sleep if you didn't do anything for a while. I don't think I ever used the cat, but I remember using the wizard for a while. I don't think he did anything too special, though. Falling asleep is a nice touch!